How often do you clean household items? If you’re like most Americans, you probably clean at least once a week and perform a deep clean once a year. While some things obviously need to be cleaned more often, like the toilet, other things aren’t so clear-cut, like comforters. 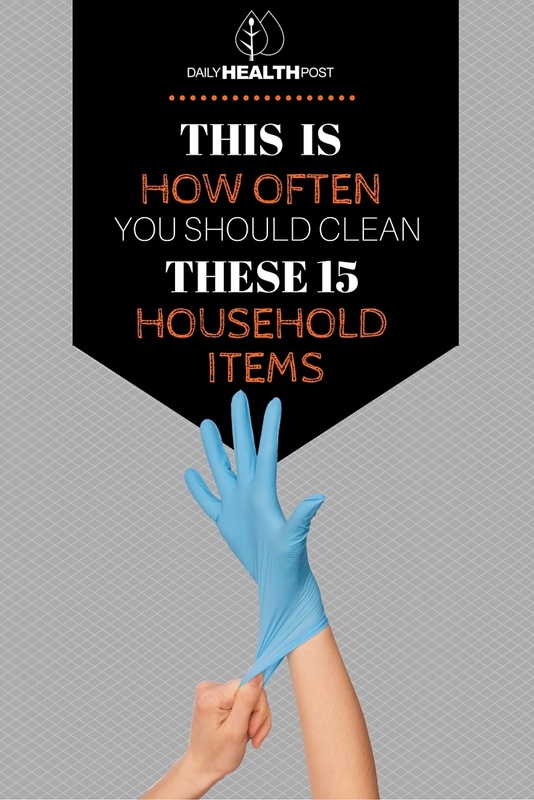 You’ll be surprised to find out that cleaning some of these items once a year isn’t enough. So how do you know when it’s time to get out the soap and water? Sweat and dead skin cells make your sheets an ideal home for dust mites and other critters, so make sure to wash your sheets regularly. Your comforter probably isn’t something you think of washing often, but you really should! Like sheets, comforters can gather dust and dust mites. Simply wash it every spring and fall or with every change in season. Vacuuming your mattress frequently will keep it free from dust mites and other allergens. You might also want to invest in a mattress protector to extend the life of your mattress and keep it clean. You may be clean when you use them, but being constantly wet means that towels quickly become a breeding ground for bad bacteria. 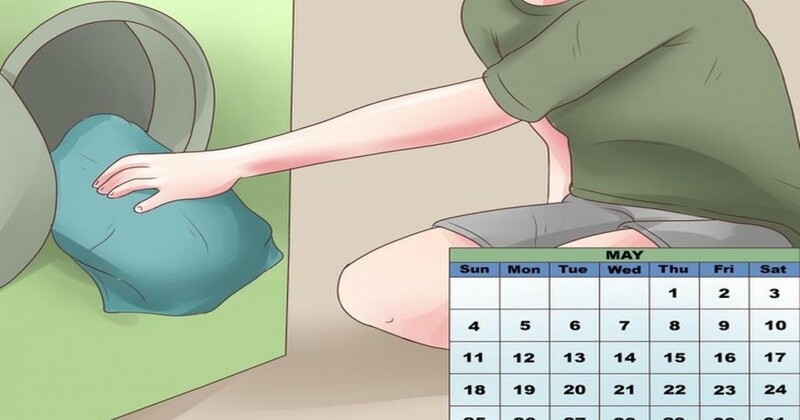 Ideally, you should change your towel halfway through the week and wash them with your other linens. If you have a large household or often entertain guests, you may even want to clean it 2-3 a week or every time your have guests. To take the work out of cleaning, try these toilet bombs. Grout attracts soap scrum and quickly become a breeding ground for toxic mildew. Instead or cleaning it with toxic products, use this non-toxic alternative. Dish towels absorb all the bacteria and viruses that live in your kitchen. If possible, wash rags more often and keep them separate from towels used to dry hand and pots and pans. Your kitchen sink can be dirtier than your toilet bowl if it isn’t cleaned often enough. While it’s important to clean the sink and faucets, most people neglect the drain, which can quickly become infested with bad-smelling bacteria. To clean, flush the sink with boiling water and pour down a mixture of 2 cups of water and half a cup each of vinegar and baking soda. Although it may require a bit of work, cleaning your oven will prevent your home from filling up with smoke every time you bake a pizza. All you need to do is remove the racks, combine ½ cup of baking soda with 3 tablespoons of water and apply the paste all over your oven and oven door, making sure not to touch the heating elements. Let it sit for 12 hours. Meanwhile, place the racks over old towels at the bottom of your bathtub. This will keep them from scratching the tub. Fill your bath with very hot water until the oven racks are covered and add 1/2 cup of dish detergent to the water. Let it sit overnight. Use a non-abrasive scrub brush to scrub off any remaining grime, rinse and dry. Afterwards, use a damp cloth to remove all the baking soda from your oven, spray the surfaces with white vinegar and wipe them clean. Place the racks back in your shiny new oven . Clean your refrigerator (doors and drawers included) with diluted vinegar at the beginning of each new season. You also can keep odours at bay year-round by placing an open box of baking soda in your fridge and getting rid of spoiled food. Clean: 3 times a year. While it’s important to wash all kitchenware after every use, it’s also a good idea to give them a deep clean a few times a year. Soak them in a sink full of hot water and a cup of vinegar or bring them outside on a clean tarp, scrub with dish soap and hose them down thoroughly. It’s important to clean your stairs frequently to avoid tracking dust and dirt throughout your house. If you have hardwood floors, wash them down once a month to clean any stuck-on grime. To keep your rugs free of allergens and dirt, vacuum them every week. It’s also a good idea to stick them in the wash every few months and deep clean carpeted floors every year. The rubber rings in your washing machine are often infected with mold, especially if you do a lot of laundry. In fact, mold can easily contaminate your clothes and leave them smelling funky, even after a fresh wash. That’s why it’s important to disinfect them with baking soda and vinegar regularly. Your purse can be contaminated with E.coli and other dangerous bacteria. Make it a habit to regularly clean out the content of your purse and wipe it down, in and out, with a natural disinfectant. You can also machine wash and air dry cotton or fabric purses.